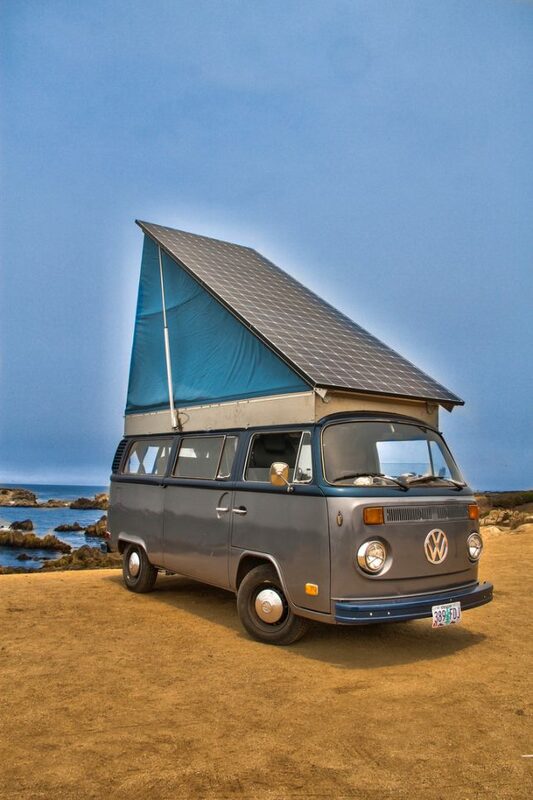 Iconic for its role in the counterculture movement of the 1960s, the Volkswagen Bus has seen many an amateur transformation into campers over the decades since, and now it’s gone solar electric. 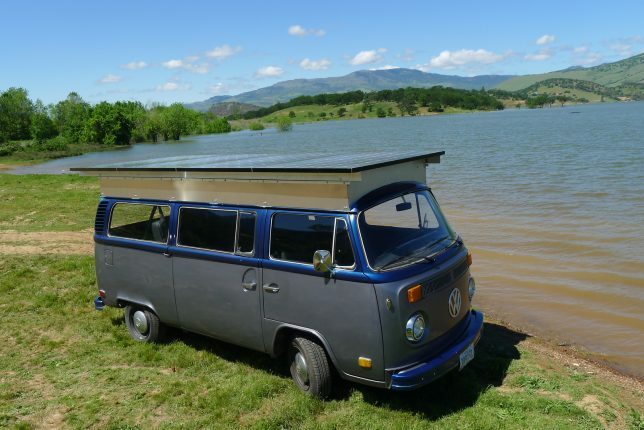 An Oregon couple decided to put their own spin on the classic DIY project by fusing the original aesthetics of a 1973 VW van with electric vehicle batteries and photovoltaic panels mounted to the roof, creating a modest but highly functional recreational vehicle for their family trips. 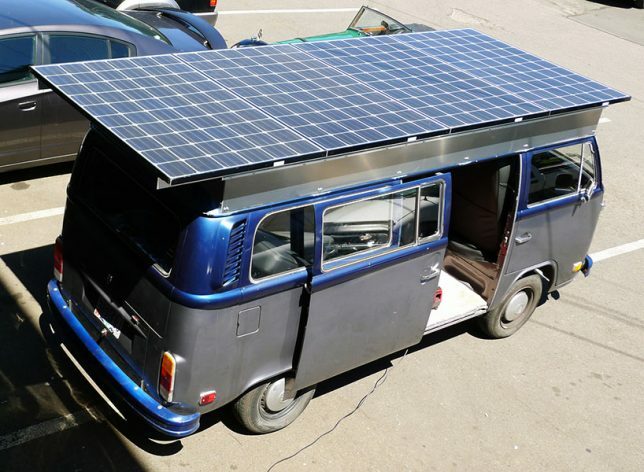 Brett Belen, an engineer who spent years working on solar electric vehicles before taking on the project, wanted a highway-friendly camper with a large roof surface to pack on the largest possible solar array. 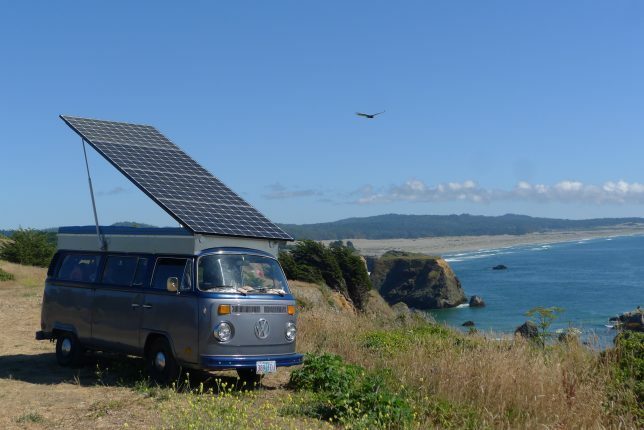 He mounted four 305-watt LG panels to a pop-up frame that tilts up to 40 degrees, taking in lots of sunlight on the road while flat and then positioned toward the morning sun when open and parked for the night. 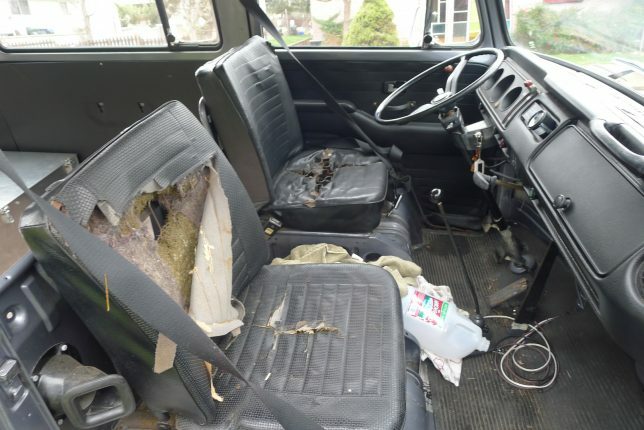 The space beneath the open panel provides extra elbow room inside the van for Brett, his wife Kira and their two children. 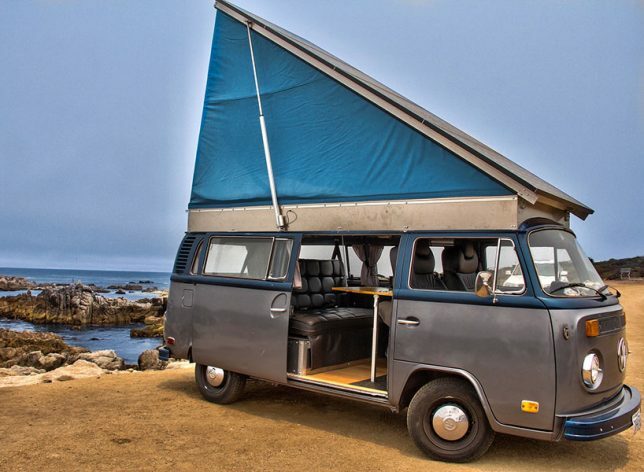 This works almost exactly like Volkswagen-produced camper vans, with the sides enclosed by waterproof tent material. 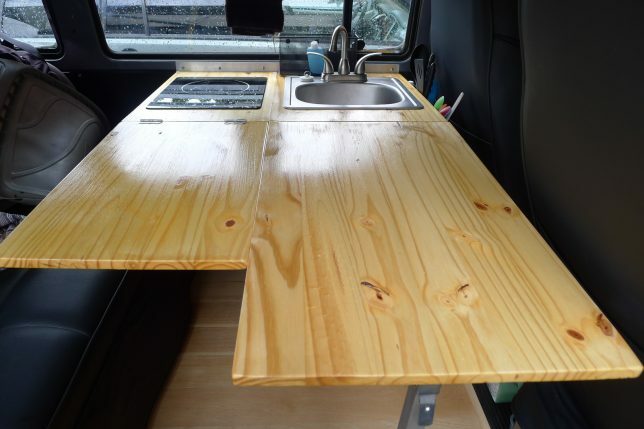 A rear window allows them to look out onto the scenery of their chosen camping spot, while the inside is equipped with folding tables and storage space for gear. 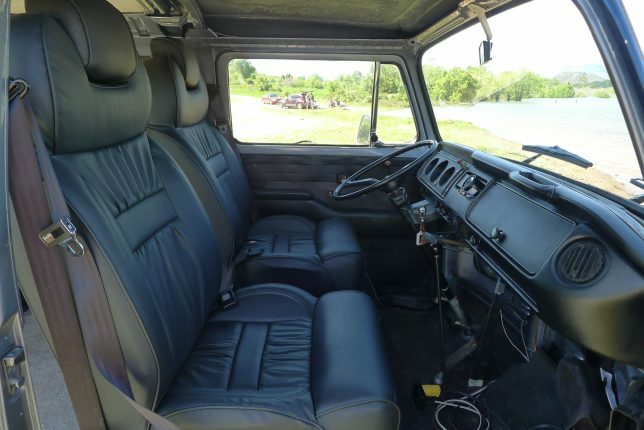 The battery bank consists of 12 Trojan T-1275 lead-acid batteries in a custom battery box tucked beneath a bench seat in the back, providing a range of up to 50 miles per charge. 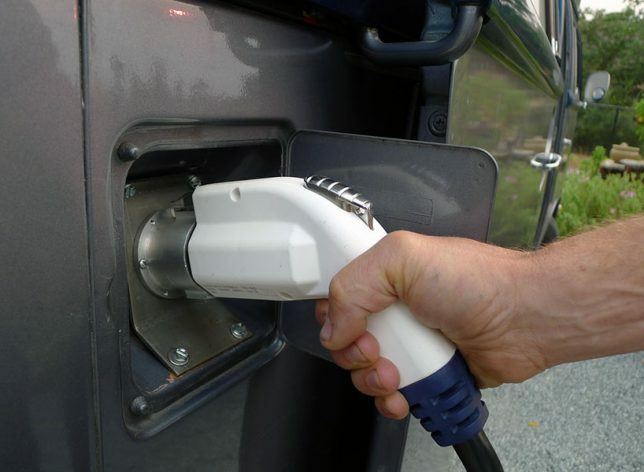 While other battery types could provide more power, Brett emphasizes that he wanted to stick to materials that the average person can afford. It’s not top of the line, but the setup is still enough to take the Belens on a 1400-mile trip of the West Coast. Learn more about the specifics at the family’s website.